The Navy Yard embarks on the first phase of a community-shared solar power project at the Navy Yard. The initial installation includes 1,295 solar panels on a rooftop in the Navy Yard and will provide a total of 440kW system capacity for the district. The Navy Yard Community Solar is the first of its kind in Pennsylvania, joining just 25 states in the U.S. with community solar projects underway. Allowing companies at the Navy Yard the opportunity to share the benefits of solar power without installing solar panels on their property, Navy Yard Community Solar demonstrates the benefits of shared access to renewable energy and energy choice as well as the improved environmental and social outcomes. When fully operational, the project will produce 930,000kWh of clean, reliable, and cost-effective power per year. The community solar project will also help to fulfill the City of Philadelphia’s commitment to transitioning to 100 percent clean energy. The solar panels will be installed on the rooftop of RevZilla.com’s East Coast warehouse and fulfillment center in the Navy Yard. This building, where RevZilla.com fills orders from online sales of premium motorcycle apparel, parts and accessories, was selected based on the rooftop size and full sunlight exposure, as well as the adjacent microgrid connection point. A second Navy Yard project site, currently under site selection and development, will add an estimated 310kW and be commissioned in spring 2018. Navy Yard Community Solar was conceived of and financed in part by Reinvestment Fund and the Sustainable Development Fund (SDF). Reinvestment Fund and SDF will provide the project’s developer, SolarSense LLC, with a low interest loan and grant. Reinvestment Fund’s sponsorship of the project includes provisions to measure and analyze the benefit-cost dynamics of electrons from distributed generation for PIDC’s microgrid, the City of Philadelphia, PECO, and the Commonwealth of PA.
For more information about participating in Navy Yard Community Solar, please contact Rudy Terry, Director of Navy Yard Smart Grid, at rterry@pidcphila.com. Maykuth, Andy. "Navy Yard launches Pa.'s first community solar project." Philadelphia Inquirer. 1 Aug 2017. Link. Weiss, Haley. "Navy Yard to House First Pa. Community Solar Project." Philadelphia Magazine. 2 Aug 2017. Link. Bayar, Tildy. "Work begins on Pennsylvania community solar project." Decentralized Energy. 3 Aug 2017. Link. Senatus, Roodgally Hendel. 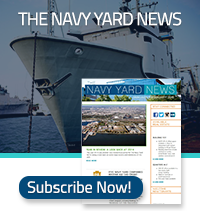 "Reinvestment Fund backs solar project for Philadelphia Navy Yard." Impact Alpha. 10 Aug 2017. Link.